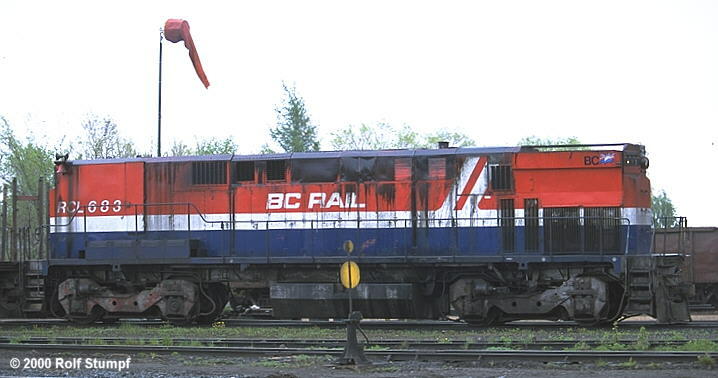 Though I haven't heard much about BC Rail's MLWs recently I think there's none left on the roster. The M420W 644-647 showed up at the Ontario Southland Railway in summer 2003. Arkansas & Missouri Railroad (C-420 #631), Hudson Bay Railway (M420 #643, M420B #s 683, 685), Carlton Trail Railway (M420B #681), Ontario Southland Railway (S13 #501, 644-647), Greater Winnipeg Water District (S13 #503), Mohawk Adirondack & Northern (C425 #s 802-806, 811). C420 #631 along with RS18 #630 in the Prince George yard in September 1994. Back then the Centuries were a fixture at the BC Rail yard. The C-420's (631 and 632) are back in service on the PG hump. Apparently the crews love them as they had been set aside for sale, but the yard crews wanted them back. They load up much faster than the CRS-20 cat rebuilds do and the crews like that. Consequently, they are back in service. The M420's are going to be around for a while too. 647 is lettered for a fictional railroad and is working out of Squamish on a movie train. 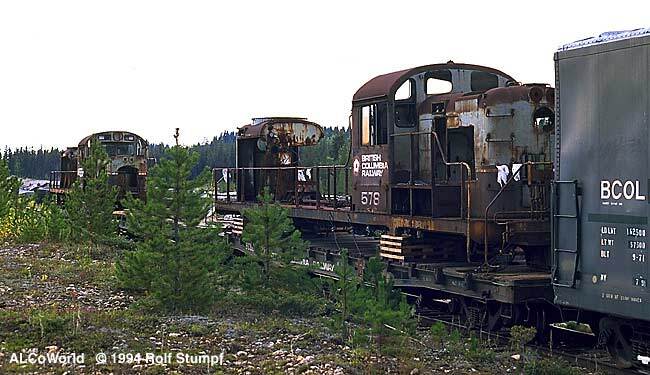 The other three (641, 644, 646) are in service out of Prince George - usually on the Switcher to Fort St. James. The radios have been removed so the M's never lead. But they are operational and that is not too bad for units that had been set aside for retirement just a few months ago. BCR actually intends to keep the 4 for conversion into road slugs. The idea is to mate them with the B36-7 units.